DeepL Pro is perfect for freelance translators and translation teams. 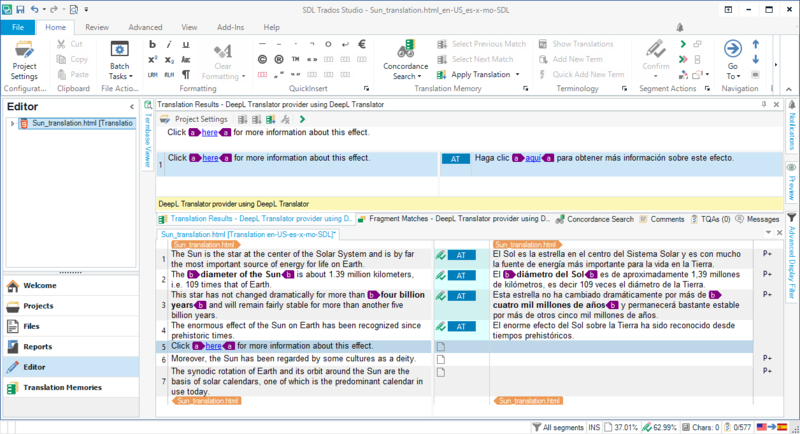 Many of the leading computer-assisted translation (CAT) tools, such as SDL Trados Studio, memoQ, and Across Language Server, feature plug-ins that make DeepL’s translations available within their environments. DeepL's artificial intelligence is a powerful ally that will increase your speed and productivity. Our neural networks produce the world's most accurate machine translations. DeepL's translations are accessed immediately, within your CAT tool interface. Your clients' texts are never saved on our servers. 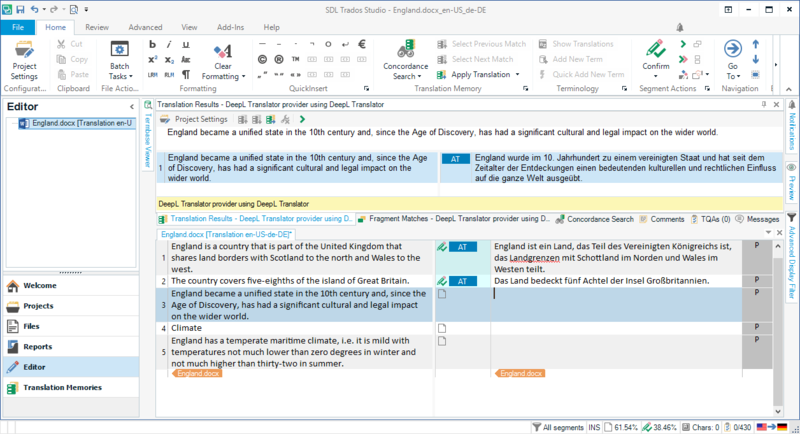 Pre-translate your files automatically; find the automatic translation of each segment while translating. Enrich your translation memories and termbases to increase the chances of finding exact or fuzzy matches when working on similar translations in the future. DeepL Pro respects the original formatting in the target segment.